The man thought to be the head of a gang who were found with millions of pounds of heroin hidden in an ambulance in Smethwick has been jailed. The drugs gang boss was arrested after a "truly colossal'' conspiracy was uncovered to sneak heroin and cocaine into Britain in a fleet of Dutch-registered ambulances. James Gibson was jailed for 20 years, alongside five other men, who received jail terms of between 17 and 11 years, after a court heard he was "towards the top of the tree'' on the British side of the plot. Gibson, of Cinder Lane, Ollerton, Nottinghamshire, pleaded guilty at a previous hearing to conspiracy to import and conspiracy to supply Class A drugs. Passing sentence at Birmingham Crown Court, Judge Francis Laird QC said he was entirely sure that drugs with a wholesale value of £300 million had been smuggled into the UK in ambulances between October 2014 and June last year. The National Crime Agency uncovered the conspiracy - which even utilised fake patients and paramedics after seizing an ambulance in Smethwick, near Birmingham. The vehicle - one of four ambulances fitted with specialist "hides'' by a Dutch gang was found to contain cocaine with a street value of more than £30 million, and 74kg of heroin worth #8 million in individual deals. In a statement issued after the case, the National Crime Agency (NCA) estimated that drugs with a street value of £1.6 billion were brought into Britain from the Netherlands during the conspiracy. Gibson, the NCA said, had direct links with the Dutch-based gang, which orchestrated 45 smuggling trips using ambulances usually unloaded inside a commercial unit in Colchester, Essex. 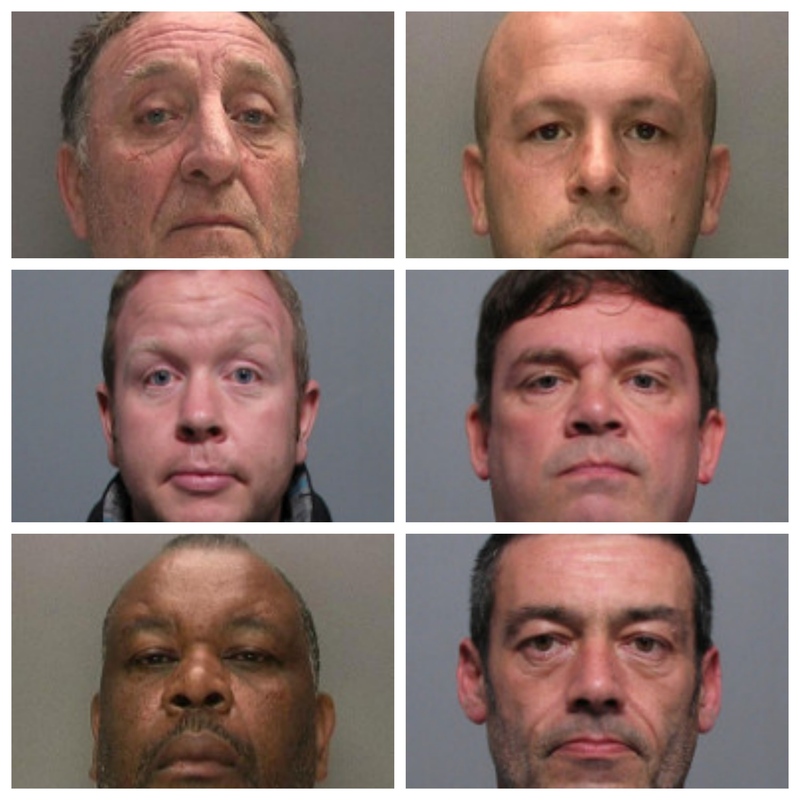 Gibson was sentenced alongside Darren Owen, 48; Richard Clarke, 36; Jonathan Floyd, 47; Raymond DeSilva, 60; and Petrit Kastrati, 42. Owen, of Balham Close, Rushden, Northants, was jailed for 15 years after acting as a trusted courier and Gibson's "right-hand man''. Clarke, of Tots Gardens, Acton, Suffolk, described in court as a trusted courier, was handed an 11-year term of imprisonment. Floyd, of Whitethorn Avenue, Burnage, Manchester, was arrested in Suffolk last September and evidence gathered by the NCA showed he had met with Dutch ambulances to collect drugs distributed in the North West. He was jailed for 15 years. DeSilva, of Cranbourne Road, Slough, Berkshire, received a 16-year sentence for acting as a courier. Kastrati, of Oakwood Drive, Crystal Palace, London, was jailed for 17 years and six months after being arrested near the ambulance seized in Smethwick. Gibson, Owen, Floyd, DeSilva and Kastrati were all charged with conspiracy to import and supply class A drugs, while Clarke admitted conspiracy to supply.